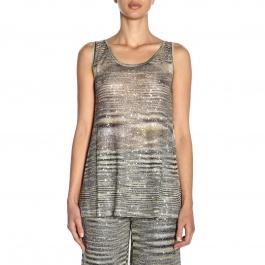 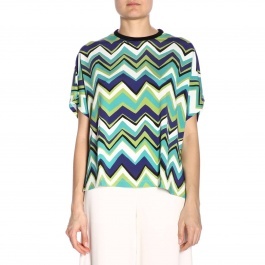 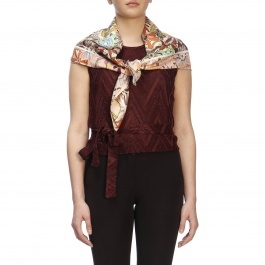 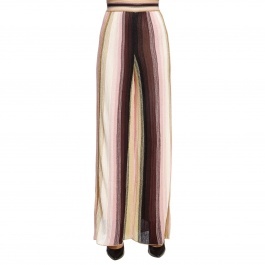 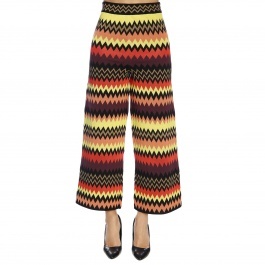 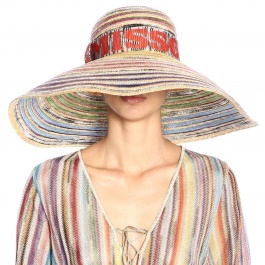 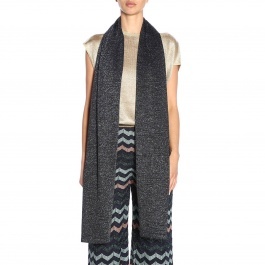 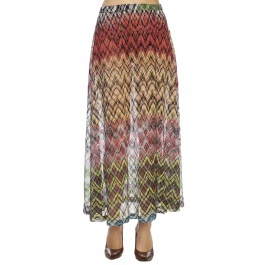 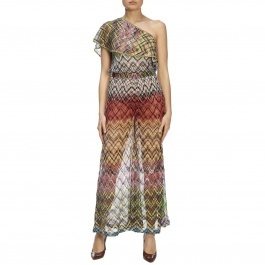 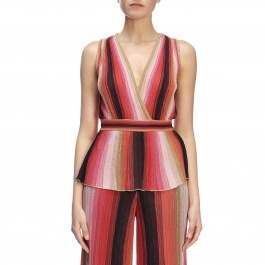 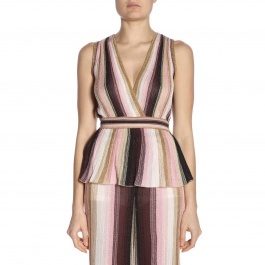 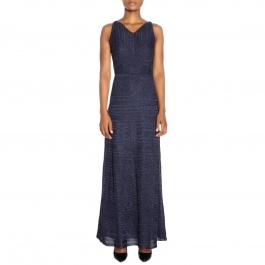 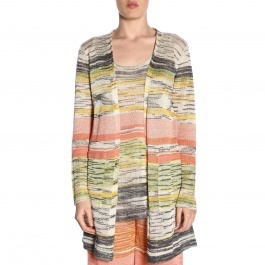 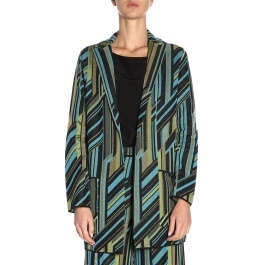 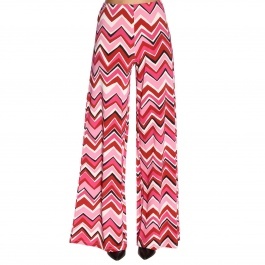 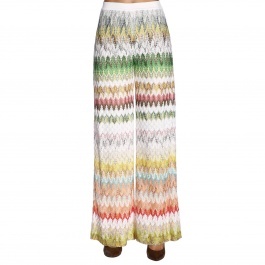 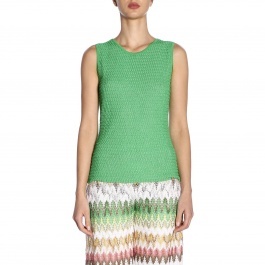 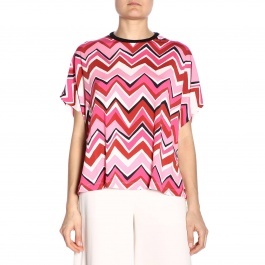 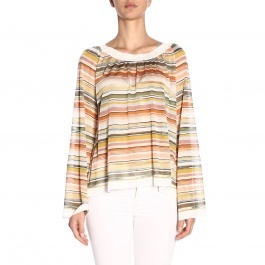 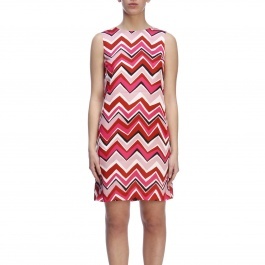 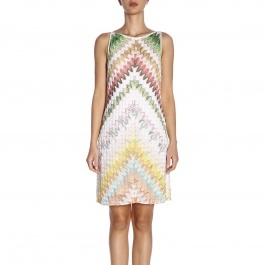 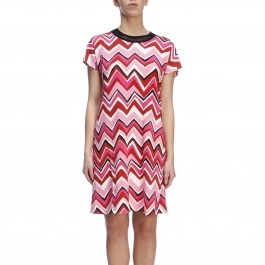 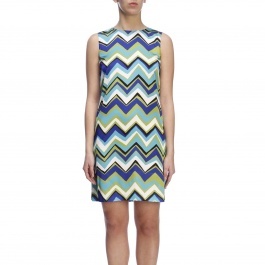 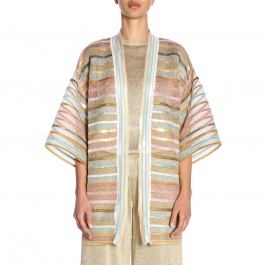 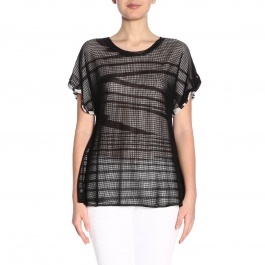 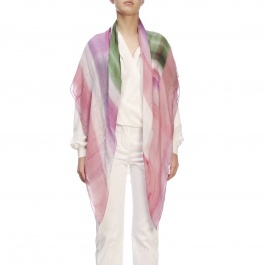 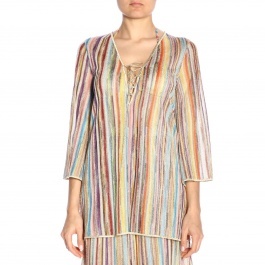 M Missoni is the feminine pret-à-porter line by the Missoni fashion house, founded in 1953 by Ottavio Missoni. 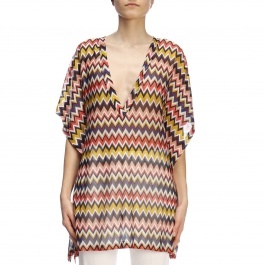 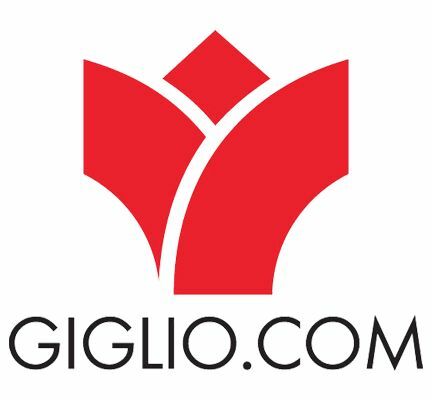 The collection is mainly composed of casual pieces to wear every day without neglecting a glamorous kick, in which colours, the patchwork style given by the particular fabric processing, and fluid lines make Missoni dresses and clothing a comfortable, on-trend and unique. 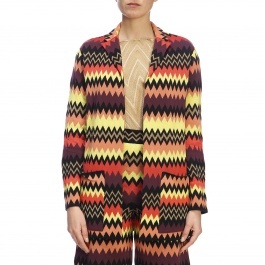 Colours, often 70's and circus-inspired, the zigzag patterns on valuable shirts, are the undisputed protagonists of every collection, togeher with charming silhouettes and lively prints.